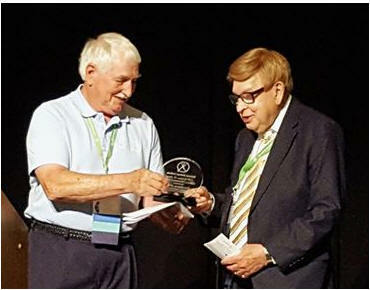 a prestigious award at the June 2018 National Wellness Conference. Dr. Fred Leafgren, an unsung hero of the Wellness Movement, shares with us how he and his colleagues launched the first National Wellness Conference in 1977, and how this conference gave birth to the National Wellness Institute (NWI). The Institute consistently continues to provide unparalleled resources and services to wellness and to Wellness Promotion Professionals to fuel personal and professional growth. Currently, the annual National Wellness Conference is the most highly acclaimed Professional Conference in the Health and Wellness Sector.